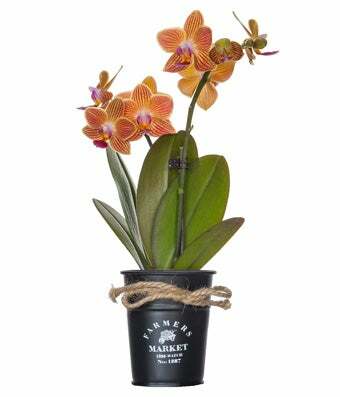 This orange orchid planter is an incredible value that is good for any occasion. Shipped straight to you from our grower in the United States, this gift arrives fresh and beautiful in a tin pot and requires very little love and care. Simply add one ice cube once a week and allow for indirect sunlight in any room and this plant will flourish.